Guideposts ensure proper registration before connection. POWER Mate series interconnects are available from Samtec, represented by Arrow Electronics , for isolated power and signal transfer in board-to-board and wire-to-board applications. 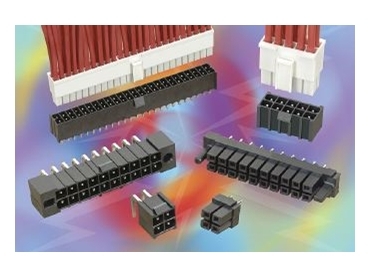 The robust IPBS Series 4.20mm pitch socket mates with the IPBT Series header for isolated connection in parallel or perpendicular board orientations. The IPBD Series discrete wire socket is available to mate to the IPBT Series header for a wire-to-board connection. The Power Mate( Series interconnects may be used to transfer up to 15 amps of current through each contact in board-to-board applications (IPBS/IPBT Series) and up to 12 amps of current in wire-to-board situations using 18 AWG wire (IPBD/IPBT Series). Pin counts are available from 4-30 positions in a dual row design. A guidepost feature has been included as standard for proper registration before connection in blind mate scenarios. The formed dual wipe female contacts within the IPBS and IPBD sockets provide a reliable electrical connection in harsh environments. A latching mechanism is also included as standard to provide secondary retention for the IPBD discrete wire socket when mated to the IPBT board mounted header. Other individually shrouded interconnects are available on 2.54mm pitch. The board socket (IPS1 Series) and header (IPT1 Series) as standard for vertical, right angle and coplanar board orientations.